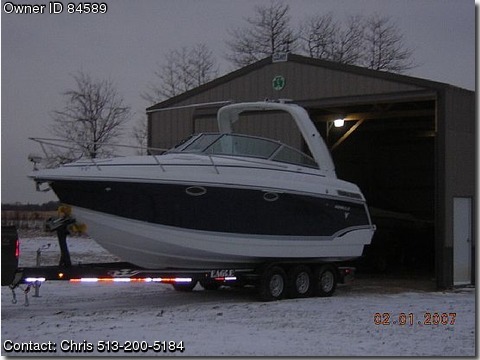 2007 Formula 27 PC Boat, Must Go, everything is negotiable including winter storage, Delivery and Even some payments to get you through winter. Over 3 years remaining on bow to stern warranty including engines and lifetime on the hull all through Formula. Completely loaded including trailer and factory kohler generator. List price is $239,500 w/ trailer-save yourself OVER $110,000 buying this like new boat with only 70 hours. Major options: Flagship graphics, full canvas, 19inch flatscreen w/ dvd, heat & ac, generator, vacuflush head, hot water heater, windlass w/ 75ft chain, remote spotlight, vhf radio, cook top, refrigerator, and much more including all of the Formula amentities including ultraleather upholstery.